i didn't know quite what to put up this week, but found myself listening to this on the way to the office today and realised it'd fit just nicely... here is a lovely little mix by ezekiel honig for his anticipate label. quiet, reflective ambient sounds for a sunday. enjoy. thank you! this goes well with the autumn sun of today. 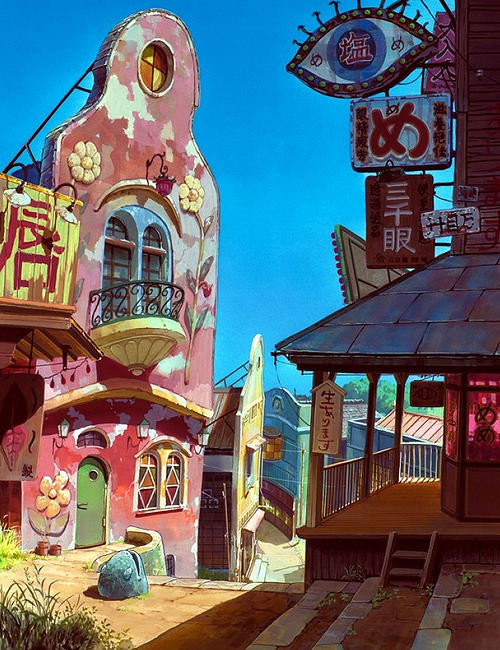 is that picture up there taken from "spirited away"? interesting. i just saw it again about a week ago. it's one of my favorite movies, too. i probably watched it around ten times now, but there is still always something new to discover every time. and i reckon that joy orbison mix would be perfect for driving about!